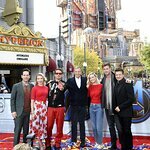 The 3rd annual “Team Kids Innovative Thinkers Forum” fundraising event will be held the evening of Thursday, October 22 at Oakley’s Headquarters with high-profile executives from NASA, Oakley and Ekso Bionics and two-time Academy Award nominee celebrity guest Jeremy Renner. Panelists will intimately discuss innovation, building iconic brands and implementing strategies to help businesses and our nation’s youth thrive. A group of young leaders will showcase international prize-winning science fair projects and interact with Jeremy Renner on stage. They will be joined by UC Irvine’s entrepreneurial students, who will demonstrate their products designed to improve our future. Jeremy Renner, critically acclaimed American actor and film producer, will be arriving on Oakley’s private helipad and serving as the forum MC. 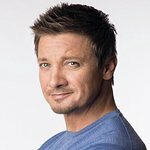 The actor, best known for his role in The Hurt Locker and portraying Hawkeye in The Avengers films, will be answering questions from children in attendance about what innovation means to him. •	Colin Baden, Chief Innovation and Product Officer of Oakley. Since working with Oakley Founder Jim Jannard, Colin has led the design of Oakley’s iconic headquarters, directed the design team on product development and company imagery, and as CEO managed all aspects of Oakley’s products, design, packaging, and promotion. •	Jeanne Holm, Chief Knowledge Architect of NASA’s Jet Propulsion Laboratory and Chief Information Officer at World Peace One. As a global leader in open data, education, community-building, and civic innovation, Jeanne empowers people to discover new knowledge and collaborate to improve life on Earth and beyond. From astronauts to rural villagers, billions of people use her systems (www.nasa.gov) to find the data, information, and knowledge they need to make better decisions every day. •	Nathan Harding, Co-Founder and CEO of Ekso Bionics. Nathan is the co-founder of Ekso Bionics and co-inventor of its core exoskeleton technology. Ekso is a wearable bionic suit which enables individuals with lower extremity weakness to stand up and walk on ground. “Team Kids delivers innovative programs to empower our next generation of leaders. In fact, they are providing opportunities for all young people to adopt a strong social conscience to tackle real world issues,” said event host Colin Baden. Inquiries can contact Event Chair Joe Burke at joeburke7@me.com or call 310-963-6307/949-633-5700. For ticket information visit www.teamkids.org/itf.